Craft Beer Co offers 16 cask beers, 21 keg beers and over 300 bottled beers, making their selection compare favourably with the leading pubs and bars in the capital. Furthermore the interior, with its original mirrored ceiling, makes this place a must visit destination. One of the widest selections of cask ale, small batch keg and bottled beers in the whole of the UK. CAMRA city pub of year. 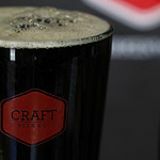 What did you think of Craft Beer Co? Have to give this place 5 stars because of the finest selection of cask ales I have ever come across in any pub not running a beer festival (dare I say almost too many to choose from) and because of the most delicious pork pie myself and my mate had ever tasted (recommended by another punter who was taking two home with him! ), but, and this is a big, big but... we came across this place about 6 months ago when it was still the clockhouse and were particularly struck by the beautiful, traditional tiling which I assume were original fixtures and fittings – so why oh why has it all been ripped out? It would have suited the real ale bar concept down to the ground... am very bemused and disappointed on this front. Any other complaints? Very pricey. But you can't argue with those ales. Beer lovers, rejoice! 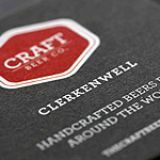 Craft Beer Co brings a mind-boggling selection of British real ale, craft beer from around the globe and obscure bottled selections to Leather Lane. Tapping into the zeitgeist that’s seen real ale sales on the rise, despite the tough conditions pubs are facing, Craft Beer Co is unmissable. In an area that’s so digital even the local reverend has his Twitter account listed alongside the sermon times, Craft Beer Co is already causing a brouhaha on forums and among beer bloggers. It sits on the corner of Leather Lane, just up the road from the Hat and Tun, and they’ve retained original old school boozer features – dimpled stained glass windows and an ornate mirrored ceiling – whilst adding some dubious modern touches like the ugly upholstered grey banquette seating. Working your way through the pumps takes on new meaning here – there are around 16 cask beers in total, with more again pouring from the keg selection. There’s an additional room upstairs which has communal benches and a bit more space than the crowded ground floor. On warmer evenings, most of the action is outside on the street where a mixture of City workers, Clerkenwell creatives, booze hounds and curious ale aficionados create a tangible buzz. To man all the pumps, staff are plentiful, well-drilled, knowledgeable and decked out in natty Craft Beer Co T-shirts that have the bar’s logo in the style of a US road sign. Scotch eggs sit on display to the side of the bar and can be scoffed down for around £3.50 a pop. If you get really desperate – and we mean last resort tackle – there’s a Chicken Cottage across the street serving up dodgy chicken burgers. This is where Craft Beer Co earns its 5 stars – and then some. 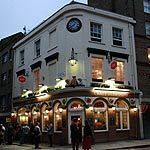 The owners also run the very well-respected Cask beer house in Pimlico and this new venture perfectly captures the trend which has seen real ale become massively popular with a whole new generation, both male and female. With 16 – count ‘em! – pumps dedicated to ale, you’ll be hard-pressed not to lovingly ogle the selection (try not to stare too long as you might look like a weirdo). Highlights include the malty, chocolatey Dark Star, a very drinkable Fiddler’s Gold, a fruity Mary Janes pale ale and Clerkenwell Pale, a fizzy riot of tropical fruit brewed exclusively for the bar by the Kent Brewery. This is highly recommended but be warned – it comes with a hefty price tag of £5.50 a pint, which puts you off ordering it again if you’re having a session. In addition to the British ale, you will find a superb list representing the US of A. These come with detailed notes on the menu to help the casual beer drinker navigate their way through what is, on the face of it, a fairly daunting selection. A lot of these come with hefty ABVs and price tags to match. And there’s more: in bottles there are sections for Trappist, Japanese and South Africa amongst others. The design of this ale house isn’t anything to write home about but, for the beer selection alone, the Craft Beer Co more than merits its 5 stars. It’s a veritable beer lover’s nirvana.